As mentioned in previous posts, I lived in Melbourne, Australia for 5 months in 2009. In those 5 months, I traveled to a lot of different places. One of those places that I visited was Tasmania. Given limited vacation, I had to try and visit Tasmania over a weekend. In those post, I told you how I saw both Wineglass Bay and Cradle Mountain in one day. I will also highlight what I would have done with some extra time in Tasmania. What is there to see in Tasmania? If you love nature, the two top attractions in my book are Wineglass Bay and Cradle Mountain. This beach is considered by many to be one of the best beaches of the world. Is a beautiful national park in Northwest Tasmania. The picture speaks for itself in terms of its beauty. As I mentioned, I only had a weekend in Tasmania. Hobart is the capital of Tasmania. Most likely you will be flying in and out of Hobart. Port Arthur is former penal colony in Tasmania. It is only an hour and half from Hobart. If you are into history or simply want to stay close to Hobart, I think this is a great place to visit. Strahan is the base location to explore Franklin-Gordon Wild Rives National Park and the surrounding World Heritage wilderness area. You can take a cruise on the Gordon River. 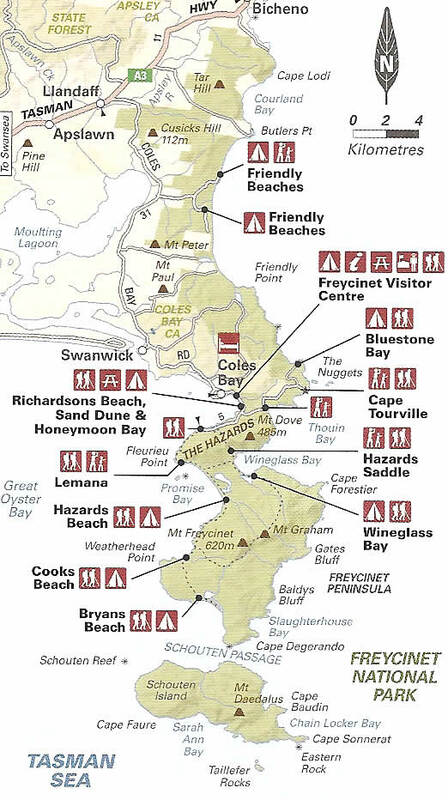 You can go kayaking or rent an ATV and ride on Sand Dunes (Henty Sand Dunes) on Ocean Beach. Strahan is located four hours from Hobart and ~2 hours from Cradle Mountain. If I had an extra day in Tasmania, this is where I would have gone. This would be a good day trip from Hobart if you are looking to stay close to Hobart. The main highlight is Russell Falls. You could easily stop here when heading back from Strahan towards Hobart. This is the second biggest city in Tasmania. There are various things to see in Launceston, but they can personally be skipped in my opinion. This is located in Northeast corner of Tasmania. It looks like a beautiful spot to visit, but it is not conveniently located if you plan to head from Wineglass Bay to Cradle Mountain. I would visit here if you were planning to stick to east coast of Tasmania. In short, I would add Strahan if I was doing 3 days in Tasmania and would add Port Arthur/Hobart if I was doing 4 days in Tasmania. If you are doing more than 4 days, I would try and see the other locations listed here. I flew into Hobart on Friday and drove up to Freycinet National Park (3 hour drive) to allow me to get to the park when it first opened. The best hike is to hike to the top of Mt Amos for a view over Wineglass Bay. IF IT RAINS, I WOULD PROBABLY NOT DO THIS HIKE. YOU BASICALLY HIKE UP GRANITE, AND GRANITE IS VERY SLIPPERY WHEN WET. This hike will take you only an hour or so. After completing this hike, I started the main hike into the park where you get the view from the picture attached. I then decided to hike to Wineglass Bay and walked along the beach to the far side. If you are in shape, this should only take 2 hours. From the picture on top of Mt. Amos, you can see how it is possible to hike to Promise Bay. I also hiked along Promise Bay that added another 1 hour to 1.5 hours. In total, I walked to top of Mt. 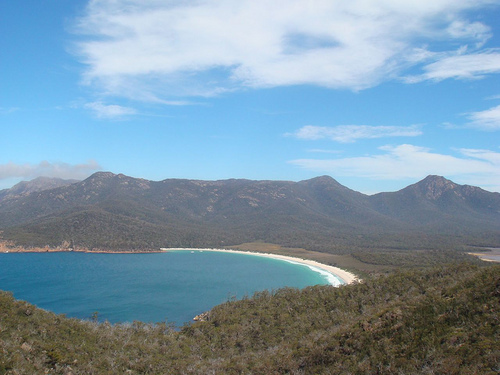 Amos (1.5 hours), hike to far side of Wineglass Bay with stop at Overlook (2 hours), and hiked along Promise Bay. (1.5 hours). In total, I hiked for about five hours at the park. In my opinion, I fully saw the park. You can see on the map there are other longer hikes, but I hit all of the highlights. Since I arrived around 8 or 9 in the morning, I was on my way at 1:00 or 2:00 towards Cradle Mountain. 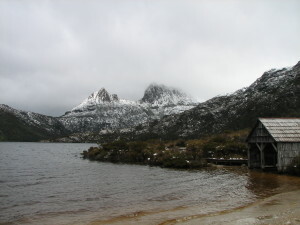 Cradle Mountain is a 4.5 hour drive from Freycinet National Park. Since you generally do not want to drive in the dark, it was critical that I left Freycinet National Park no later than 2:00. My main goal at Cradle Mountain was to hike to the summit. This park is also where the Overland Track starts, which is a multi-day backpacking trip through Tasmania. It is rated as one of the best multi-day hikes in the world. Since I had limited time, my goal was simply to reach the top of Cradle Mountain. From the Dove Lake car park, it is estimated to take 6.5 hours. Unfortunately when I was there, it was snowing and I was unable to make it to the Summit. As mentioned in note from National Parks Department, I took a different route when returning back to Dove Lake.